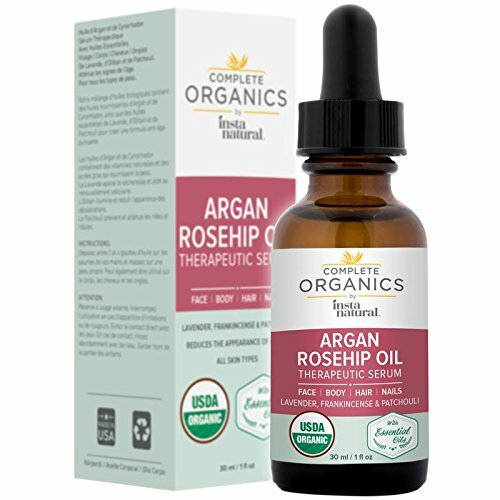 ADVANCED ANTI AGING - The combination Argan and Rosehip Oils leverage Vitamins A, E and C as well as Essential Fatty Acids, which are key to healthy cell production. This formula penetrates deep into the skin and encourages the production of healthy new skin cells. You will begin to see a reduced appearance of lines, scars and stretch marks when the damaged skin is replaced by healthier cells. LIGHTWEIGHT SOLUTION - Great treatment for all skin types, but especially those with dehydrated and combination skin. Infusions of these essential oils will complement each other to calm irritation, brighten the appearance of discoloration while providing effective skin defense in a non-greasy, lightweight formula. AROMATHERAPY BENEFITS - Leveraging the combination of Lavender, Frankincense, and Patchouli essential oils to relieve dryness and damaged skin, brighten the complexion, and reducing lines and signs of aging. These oils penetrate the skin and work in the body in a multitude of ways.